Iraq’s premier said civilian backup groups are going to join the army forces to help them combat the Al-Qaeda-linked militants who have taken control of Mosul, in the Northern province of Nineveh. Nouri al-Maliki said on Wednesday that the country’s armed forces are preparing to confront the terrorist group called the Islamic State of Iraq and the Levant (ISIL), a day after the militants belonging to the group seized Iraq’s second-largest city, Mosul, Al-Alam reported. The prime minister called the latest development on the part of the terrorists a conspiracy against the country. 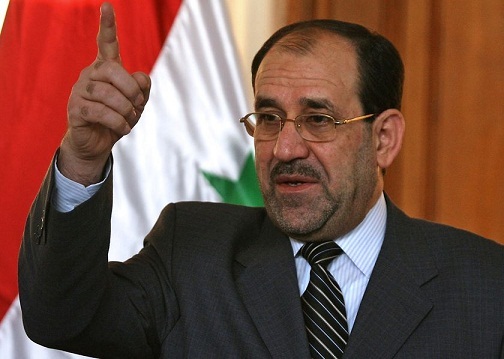 Maliki described terrorism as a major threat to the country and called for Iraq’s unity against the terrorists. “The government will never permit Mosul and Nineveh to remain under the shadow of terror and the terrorists,” Maliki said after an emergency cabinet meeting. The Takfiri militants seized several areas in Iraq’s Kirkuk following the capture of the neighboring Nineveh Province. The violence in Iraq’s Nineveh has forced over half a million Iraqis to flee their homes. Maliki has asked the UN, the European Union, and the Arab League to help the country fight the terrorists. Violence has been also raging elsewhere in the country with bombings and shootings across Iraq. Iraq’s Interior Ministry has said that militants have launched an open war in Iraq with the aim of pushing the Middle Eastern country into chaos.